I really enjoy experimenting with creating textured guitar tones. Most recently, I added a little texture for Elizabeth and the Catapult’s new record on a song called Magic Chaser. Elizabeth was looking to add some sustained ambient guitar tones in the second verse of the song. It really didn’t need much. But, with minimalism comes refinement. I thought I’d share some of my go-to setups for creating guitar textures. A lot of these tips are somewhat gear-specific. It’s certainly possible that similar results can be achieved with other products. But, I can’t guarantee. Echo is often a staple in my guitar texture closet. Aside from the fact that using delay can add depth, you can also create some cool feedback scapes. 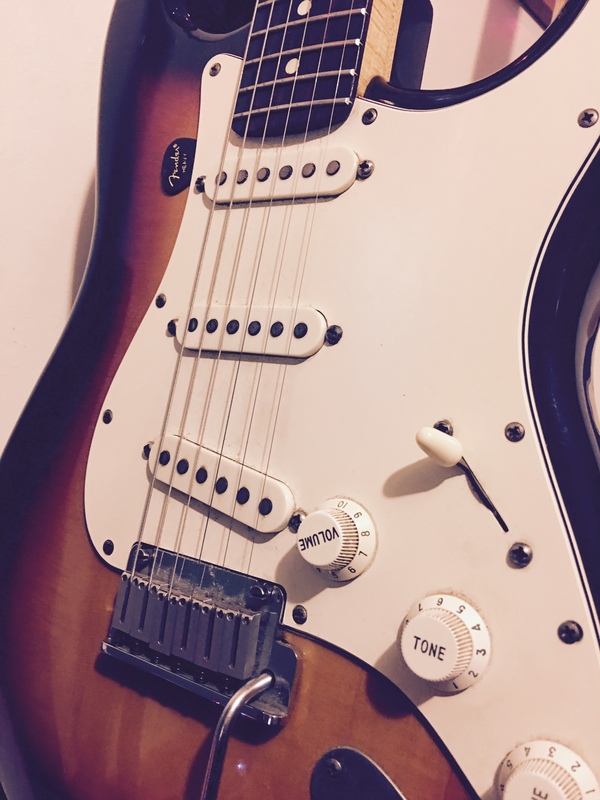 This is where a Stratocaster style guitar works best due to its placement of the volume knob. Yes, it can be done with other guitars, it’s just not as easy. When I want my hands free I use an Ernie Ball volume pedal. This frees me up to do more intricate work with my picking hand. 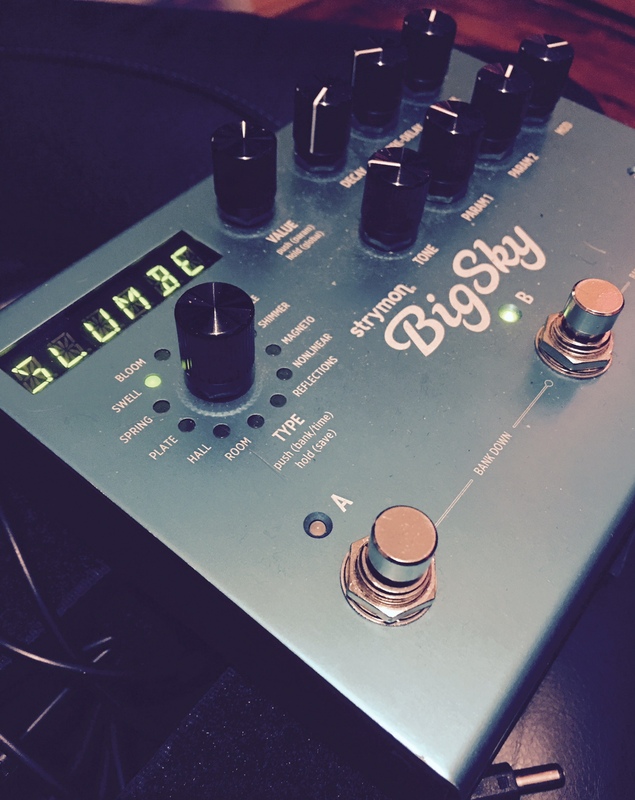 There are times I place the Strymon Big Sky before the tape echo. The Big Sky has some verbs that swell in. It does a great job at swelling in long notes. The rise time is adjustable too. So if you want a fast swell as opposed to a slow swell, it can be adjusted. Grabbing some of the reverb tail and creating a tape echo feedback loop can be a lush sound. If you hold down the left button (tap) it momentarily turns up the feedback knob all the way. As soon as you release the “tap” button, it releases the feedback. There are times where I need more control of the release of the feedback. For this, I connect a Mission Engineering expression pedal to manually adjust the feedback. This is particularly great when I’m not looking to swell a chord in. Where I want to persevere the attack but add sustain. In theory though, you could still do volume pedal swells by sitting in a chair. This will allow you to use both feet. And don’t forget, you still have your trusty volume knob on the guitar. I know that most people think there’s a rule of always placing a delay before a reverb. There is nothing wrong with this method. However, by changing placements you get different results. When placing a reverb before a delay, I think of the delay as a camera. It’s taking a snapshot of the the tone and repeating it. Sometimes I want that snapshot to include a specific reverb trail. Speaking of reverb, the Big Sky has a really great feature called infinite sustain or freeze. By holding down the foot switch, it will freeze the reverb. There’s a slight difference between the freeze and infinite settings. The freeze setting freezes the note or chord you just played through the verb. Any additional sounds you play won’t add into the verb. The infinite setting allows you to add more notes to the reverb “loop,” with each note adding complexity to the sound. Sometimes, I prefer the reverb as opposed to a delay feedback loop because it sounds a little more drone-like. Echo loops tend to take on more of a rhythm role. 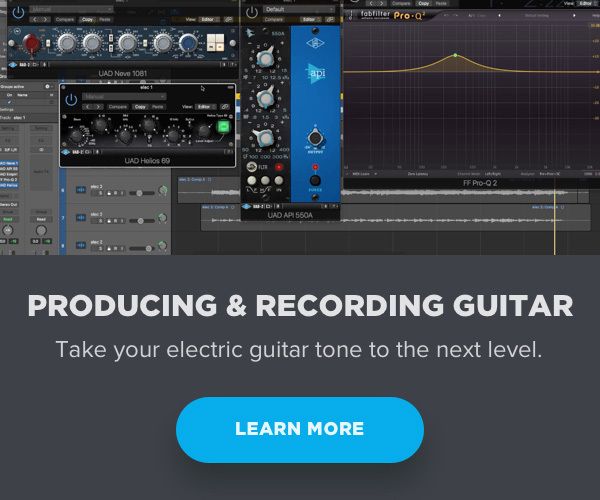 Omnisphere can open up a lot of creative doors for guitar processing. Omnisphere allows you to import your own samples, but it doesn’t work like the EXS24 sampler that comes in Logic. You’re not going to be able to set up a different sample for each key on a keyboard. Think of it more as spreading one sample across the whole keyboard and heavily processing it. It’s really powerful in allowing you to add all kinds of cool filters to guitars. You can get really deep with this plugin. One fun thing I like to do is import a whole guitar track. When you export your audio track to load into Omnisphere, make sure the file starts exactly on the beat. This will make it much easier to trigger. Omnisphere does give you options for adjusting sample start time. But you know, why create more work for yourself. Once you’ve imported a guitar track, you can get to work messing with it. It’s also good to remember that you can pretty much automate everything in Omnisphere. Time to get your control surface out and tweak in real time! Just as you would play the feedback knob on a delay, you can play the various parameters in Omnisphere. You can do something as simple as taking the attack off a guitar track so it swells in a bit. Try tucking that under the unaffected track. 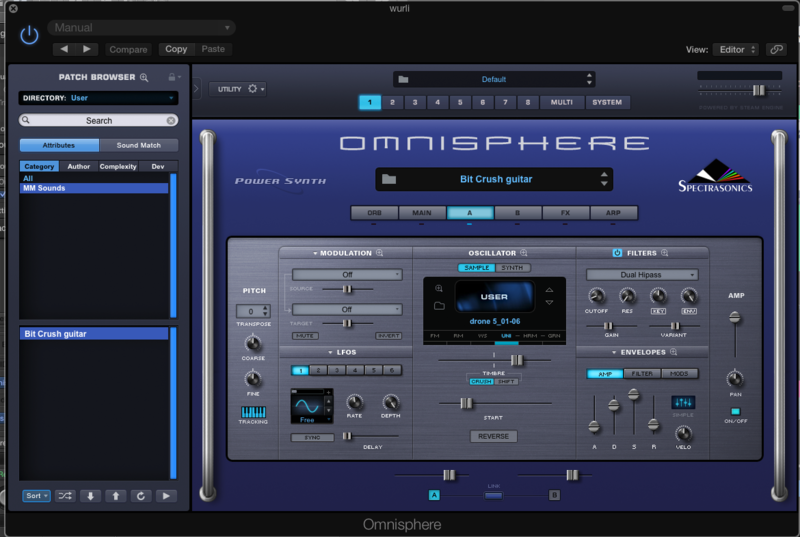 Now send the Omnisphere processed track to a reverb or use one of Omnisphere’s built in effects processors. Depth! In the event that you’ve already sent the guitar player home from a session, you still have options. 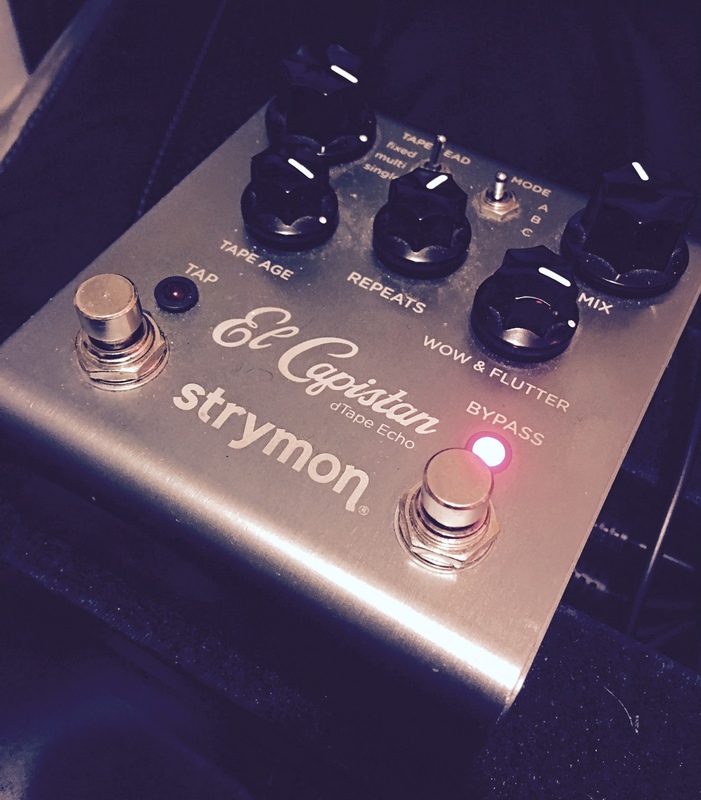 You can reamp a guitar track into a volume pedal, Big Sky, Tube Tape Echo or El Capistan. I use a Radial JCR. It’s a really great reamp box. 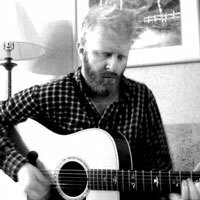 I’ve also cut guitar parts apart to isolate certain chords or notes. Make sure you crossfade so there aren’t any clicks. 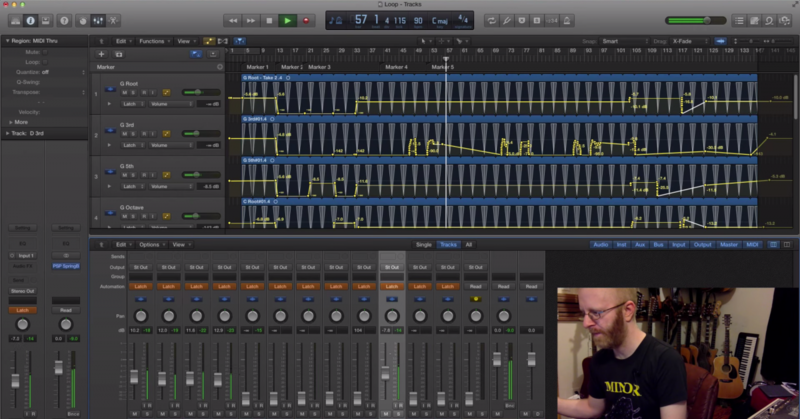 Now, send these single isolated chords or notes out to your effects chain. 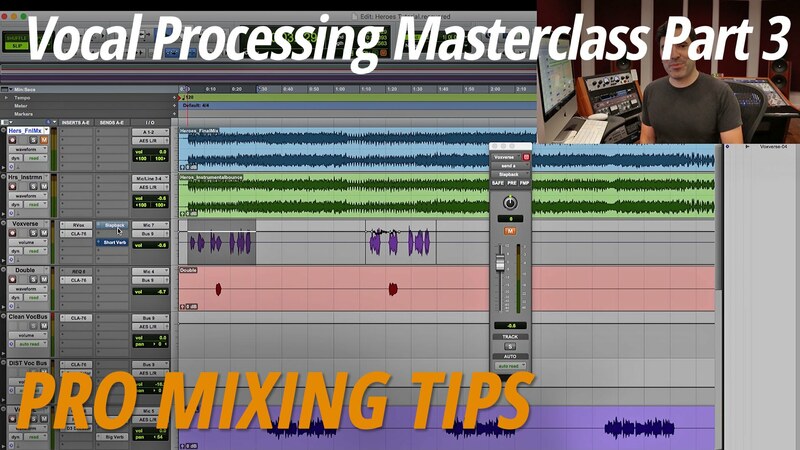 From here you can add sustain and texture without having to recut any guitar tracks. With the exception of using Omnisphere, you’ll notice I mention a lot of outboard processing. Although you can automate the feedback on delay plugins, I don’t find them as interactive. Also, There’s something special about tape echo saturation that I really don’t think has been emulated yet in a plugin. Now, go collect your mood boxes and create some moody space.